It’s an interesting fact that you always see fewer men than women at Writing for Wellbeing workshops, as well as at things like yoga classes. I’ve asked the men who do come to my workshops why they think this is so – and the answer is usually that they think men are wary of the idea of being seen to seek emotional wellbeing. This is quite topical now, as it is #MensHealthWeek. An unfortunate idea – that taking care of one’s emotional & mental health is not manly. Somehow there is the fiction that, for men, mental resilience should be inborn, that they should be strong without any help (even from themselves). Is this ingrained from childhood when boys may be told ‘Big boys don’t cry’, ‘Stop acting like a baby’, or name-calling which tells boys they aren’t measuring up as a male (wuss, sissy, jessie, pansy – I’m sure there are many more in modern slang)? Words do have power – and if children are humiliated when expressing their emotions, they will learn to bottle it up as adults. But words are also a way for men to regain their own power in accepting themselves and treating themselves well. The advantage of expressive writing (even beyond the use of journalling) is that no one else ever reads your writing. Your notebook is your friend, there for you all the time, and you retain control of what you want to write about. If you have someone to guide you in this process, whether in workshops or one-to-one, all the better. One of my clients (who will remain anonymous) had been experiencing huge losses in his life – the death of a young child, the consequent break-up with his partner, the loss of his home, and finally – when it all became too much to bear – the loss of his job. He was focusing on how weak he felt, how powerless. But through doing some simple Writing for Wellbeing activities, he was better able to express his grief, to treat himself kindly, and to begin focusing on all that was good in himself. From where I was sitting, I saw a man who was incredibly strong and courageous – willing to work through his emotions in order to come to a place where he could start moving forward again. This is true courage. 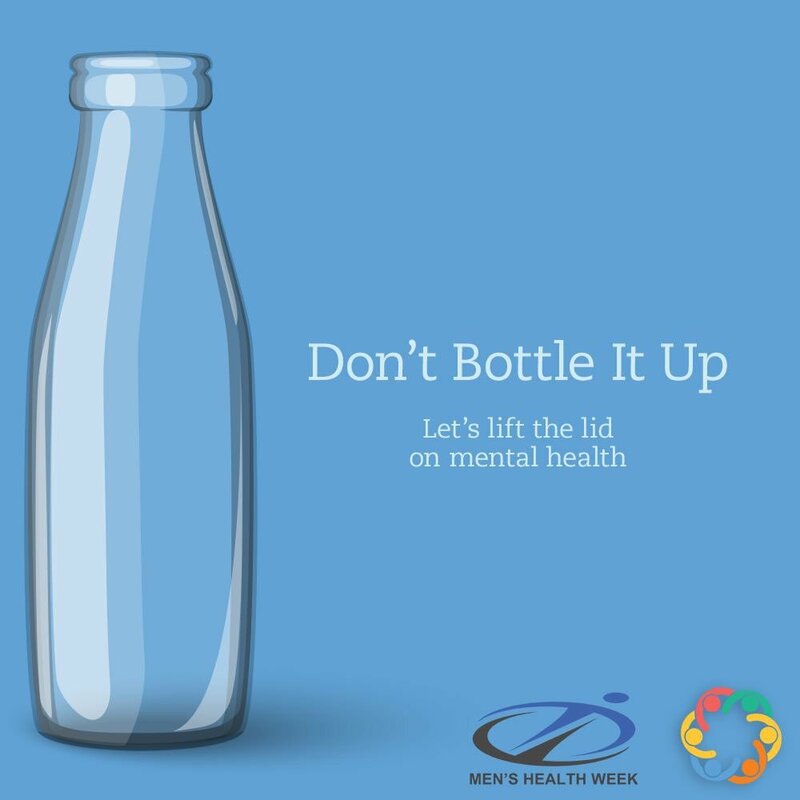 During #MensHealthWeek, and every week, I encourage men to choose to look after themselves emotionally and mentally, as well as physically. Support and guidance of all sorts is out there for the asking. How cool is this?! 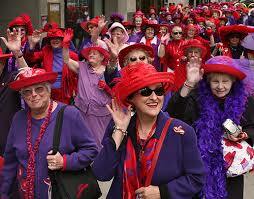 The Red Hat Society was inspired by the first two lines of Jenny Joseph’s poem ‘Warning’, when Sue Ellen Cooper, a California artist, gave a red fedora to a friend on her 55th birthday – saying that it was possible to grow old playfully and on one’s own terms. 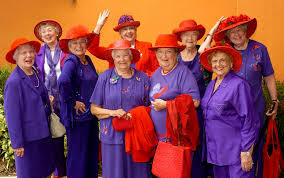 After giving a few more red hats to friends, they bought purple outfits and held the first meeting of the Red Hat Society in 1998. It is dedicated to embracing life, fulfilling lifelong dreams, and friendship. News of the Society spread at first by word of mouth, then received publicity in some national American magazines. They were deluged with requests to help set up chapters of the Society. They now have a ‘Hatquarters’ and have grown from the few original members to over 70,000 members. 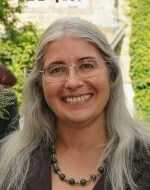 It is now an international society which promotes bonding and social interaction among women, particularly among those over 50 years of age (though younger women are welcomed as ‘Pink Hatters’). Their goal, in addition to the mutual support and social events, is to change the way women are viewed in modern culture through freedom from stereotypes and by encouraging the achievement of (perhaps postponed) goals and dreams. 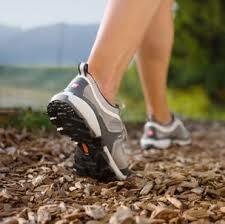 They see physical fitness as the basis of a healthy and rewarding life. How splendid that a poem has inspired a worldwide movement to help women achieve their full potential – and have a lot of fun! Clearly there is a lot of laughter and smiling in the photographs. Of course, any of us can dare to wear a little purple or a red hat to remind ourselves of our own wonderful spirit and all the possibilities open to us. ‘But maybe I ought to practice a little now? Today, the Ides of March (15 March), has put me in mind of a remarkable visit I had to the archaeological ruins of the Forum in Rome where Julius Caesar was killed on this day in 44 BC. 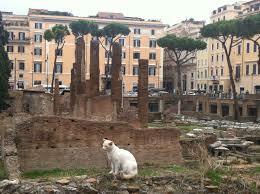 Today the ruins, now called Torre Argentina, are inaccessible to tourists, but are inhabited by hundreds of homeless cats. Roman ruins often house wild cats, but this one is special – a group of highly dedicated people have established a cat sanctuary there. I had been walking the streets of Rome, and sat down on some stairs running to the side of the ruins for a rest. A huge one-eyed cat suddenly leaped into my lap, saying, ‘Pet me. Now!’ ‘Yes, sir!’ I said, and pet him until he was satisfied and jumped off. Then I noticed a sign on the wall reading, ‘Save a Roman cat’. I went down the stairs and discovered, in an area beneath the road, a group of women who care for the hundreds of Roman cats in these ruins. I ended up spending a few afternoons of my holiday helping them, by feeding the cats, cleaning out cat cages & litter trays for those who were ill or recovering from being neutered or spayed (which they did for all the cats there), and cuddling the lonely cats. These cats had been abandoned by people who no longer wanted them, and these women cared for them all of them with the few donations they received from passing tourists. 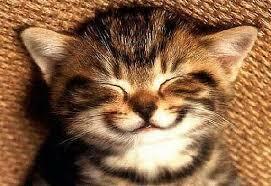 Whenever possible, they find people to adopt cats and give them a forever home. The one-eyed cat who had first greeted me was named Admiral Nelson, because when they had found him, he was injured with a bullet in one eye – someone had thought it fun to take a shot at him. A vet removed the damaged eye, and now Admiral Nelson was the king of all the cats in the Forum. I we nt back again some years later and was pleased to find that they had expanded their operation with good new cages for the poorly and recovering cats, lots of volunteers, and even a tiny gift shop which sold a children’s book about Admiral Nelson. Nelson had finally crossed that rainbow bridge at the end of his life. But when he had become a venerable old cat and had lost his dominance amongst the other cats, a couple had finally adopted him and gave him comfort and love in his final days. And if you are ever in Rome, drop by and see their fine work. 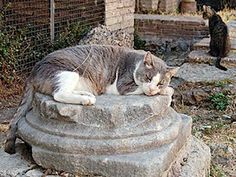 And take a moment to cuddle a Roman cat. 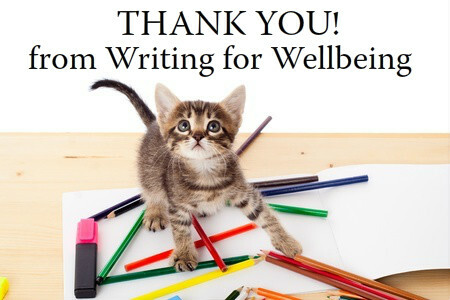 I’ve just had a lovely week for Writing for Wellbeing. 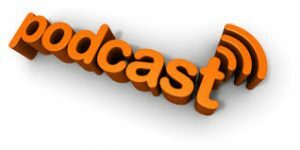 I led writing workshops for a couple of great goups of people – clients of a soup kitchen in South Shields, and for Northumbria Cancer Support Group in Hexham. It’s always wonderful to see how much good people receive from doing Writing for Wellbeing. Me – I’m just filled with gratitude that I have the opportunity to spread the light by helping people find their own inner teacher through writing. Thank you so much to the lovely people who wrote with me this week. 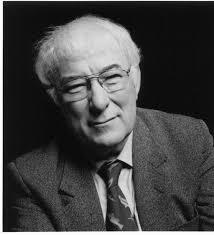 Nobel Prize winning Seamus Heaney, poet and teacher, had many uniquely interesting words to say abou t poetry and the writing of it. He said that when he taught writing, he preferred those students who were just willing to give it a go. He wanted them to ‘enter with their imaginations and good sense of play‘ – a philosophy I follow in Writing for Wellbeing. He himself never had a writing class, though he taught writing for most of his career. He just read literature of all sorts during his BA in English, ranging from Anglo-Saxon and Middle English to 20th-century poets like Eliot, Auden, and Hopkins. I agree that reading is one of the best ways to learn about writing. Though from my point of view, a few workshops or classes can help get the words flowing! While saying that writers should trust their writing, Heaney also admitted that sometimes when teaching he didn’t write for 5 or 6 months in a year, noting that living your life is more important than art. This reminds us that writing isn’t necessarily about quantity, and that ultimately your words will arise from the experiences of your own life. Nonetheless Heaney has also said, ‘If you have the words, there’s always a chance that you’ll find the way’ and that ‘If poetry and the arts do anything, they can fortify your inner life, your inwardness.’ So we are reminded that expressing ourselves through writing is a road towards growth and emotional wellness. But I think perhaps Heaney’s best advice is ‘The main thing is to write for the joy of it.’ For indeed, what could matter more than the feeling of inner wellness and joy that comes with creative self-expression? Many writers are well known to have been avid walkers – Lake poets like William Wordsworth and Samuel Coleridge come to mind. Charles Dickens and Virginia Woolf were both keen city walkers. More recently, poet Simon Armitage has also written about his long treks on the Pennine Way and in the South West of England. Are walking and creativity linked? The answer is yes! Research at Stanford University shows that people who go for a walk have 50% more creative ieas than people who do their thinking sitting down. What is more, this high creativity continues after you have finished your walk. Surprisingly, the study showed that it doesn’t matter whether you walk outdoors or on a treadmill indoors – ideas flow more freely in either case. While it may be true that beautiful scenery is inspiring, the mere act of walking will stimulate creativity no matter where it happens. So the next time you are stuck for some new ideas – get up from that desk and take a hike! Reading in groups has special therapeutic effects, according to The Reader Organization. This doesn’t just mean a book group where you read alone at home and come together to discuss it – it is about shared reading. That’s people coming together to read aloud poems and stories. Social connections are made, thoughts may be discussed, and works of literature are shared by all. Writing in groups has a similar therapeutic effect, as I have seen in my Writing for Wellbeing workshops. 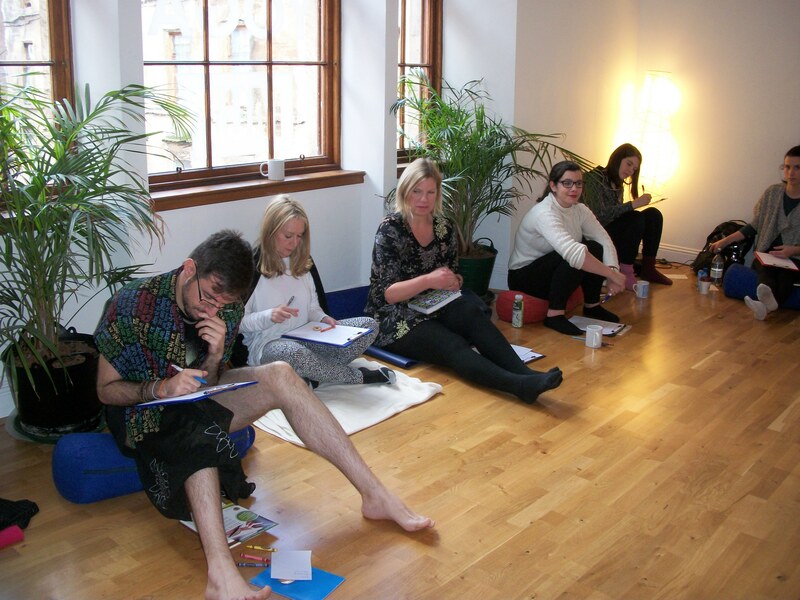 At a recent workshop at Merchant City Yoga in Glasgow themed to Change and Growth, we were grounding ourselves with the activity of writing about our personal achievements. In the discussion afterwards, one participant commented that she could never normally write about her own achievements. But it was easy to do in the workshop because she had been given ‘permission’ to do so, and what is more everyone else in the room was also writing about their achievements at the same time. She found it very liberating and enlightening. 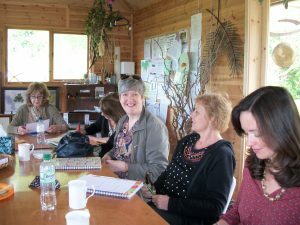 Others have commented that having dedicated time to write in a group makes it easier to leave outside stresses and concerns behind, and just focus on personal expression and exploration of self. It’s a little time to achieve some clarity and calm, facilitated by the fact that everyone there is doing the same thing, too. That’s the beauty of Writing for Wellbeing workshops — it’s the chance to come together with like-minded people using their creativity to expand their personal awareness, increase feelings of positivity, and find paths forward by means of their own inner wisdom. Keeping in mind that we never have to read aloud anything we have written, the very act of writing together in a group creates an atmosphere where it feels okay to write whatever you need to write on that day. 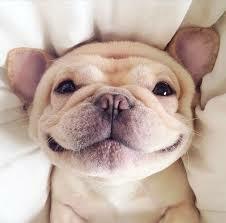 It’s World Smile Day! I remember one day I was feeling particularly grumpy about something, but a friend sa id something to me that I found very funny. Later when I was walking through the streets of Durham city, I noticed that a lot of people were spontaneously smiling at me as I walked past them. Why should this be, I wondered? Then I realized – because I had been thinking about this funny thing my friend said, I had been walking along with a smile on my own face. It seems smiling is contagious, because so many people were smiling back at me. So, thanks to my friend who made me smile, a wave of good cheer was spreading through the streets of Durham. And of course, I entirely forgot to feel grumpy anymore. 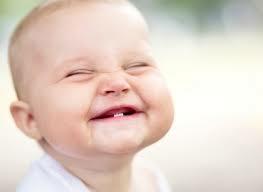 How many people can you give the gift of your smile to today? I posted that quote on Twitter today, and a large number of my followers have shared it, Liked it, engaged in conversation about it, and have even said they are going to do it. How about it? What a brilliant challenge – to sit down and write one story a week for a year. It’s absolutely possible – if we let go of our limiting thoughts about how our writing ‘should’ be, and instead let the words flow and just find out what happens. What if we don’t know what to write about? Try opening a book at random, putting your finger on a sentence, and start writing a story about whatever that sentence said. Of course, this will work better if you choose an interesting book, as opposed to a technical manual or some such! You could choose a work by Shakespeare, a book of poetry, a sacred text, a favorite novel. Or you could check out my Twitter feed @write4wellbeing – I post lots of interesting quotes and links to my Facebook posts, as well as retweeting fascinating stuff. I have recently discovered a wonderful Twitter account @PastPostcard, which posts fragments of messages from real postcards – lots of possibilities for inspiration there. 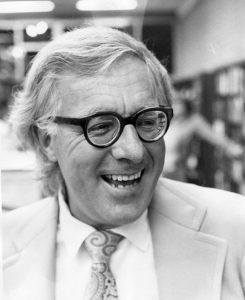 Ray Bradbury certainly knew how to write short stories – he wrote every day of his life since the age of 12. He published nearly 600 short stories, and that’s not counting his novels, poems, essays, and plays. I think he sounds like a writer from whom we could take some encouragement. So, what do you say? Anyone up for a story a week challenge? This time next year, you’ll have 52 stories!